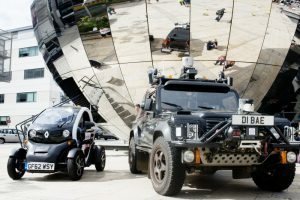 City Innovation team project manager, Matthew Cockburn, who works on autonomous vehicles projects in Bristol City Council was invited to take part in a podcast hosted by David Williams, Technical Director at AXA to discuss business opportunities emerging from the development of autonomous technologies. Matthew was joined by Louise Lawrence, Director of Intelligent Mobility at Atkins. The podcast covers the challenges and opportunities for players in the motor and tech industries to innovate in the connected autonomous vehicle space, the business models being used and potential for new business models for the future. It further investigates the impact and opportunities available for big and small enterprises. 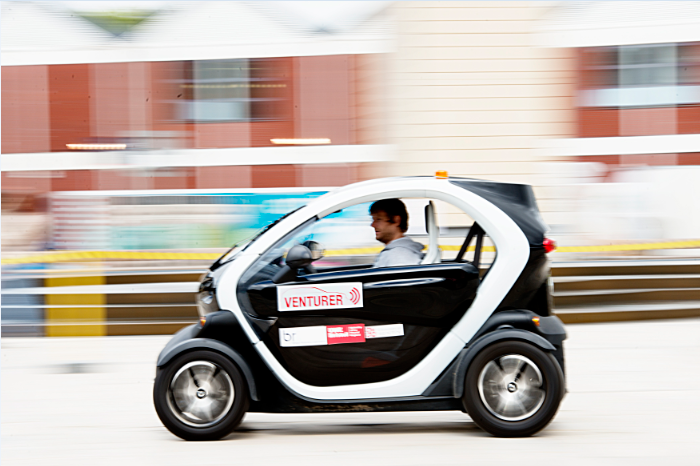 Louise explores a number of small start-ups and what help there is out there and how businesses are using connected and autonomous vehicles to improve the lives of residents in cities. Matthew discusses how local Bristol businesses are developing new technology such as voice control and movement of hands to control the autonomous vehicles. He also explores how enterprises in Bristol are tailoring services to local people’s needs and finding opportunities such as developing parking apps to find available parking spaces. He highlights that in Bristol it is important that technology is inclusive so everyone can use it and no-one is left behind. Open data is also discussed during the podcast, looking at its involvement in autonomous vehicles and how we can use data correctly for future technologies. The podcast also explores ways of getting data and information the council has such as congestion on the roads on the council’s servers to inform the public across the city. Hackathons are also mentioned including the mechanics of how they are run by the team and the opportunities they can bring for any future enterprises in Bristol.